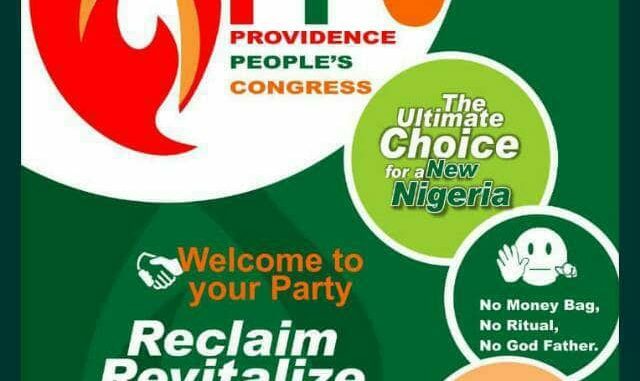 The Providence People’s Congress (PPC), may have just been registered, as a political party in Nigeria, but the efforts by its promoters to register the party, predates 2012. Record has it that, while its promoters had applied for registration, it took the Independent National Electoral Commission (INEC), five (5) years to register the party. The policy of the party to formulate its vision and objectives around God, integrity and the will of the people is currently changing the campaign strategies of other political parties in Plateau state, especially, as the strategic move of the PPC is aimed at giving power back to the people. While the party has a policy of taking, as responsibility of educating the masses concerning the need to vote credible people into office in the forthcoming general elections in the country, it has further adopted a Door to Door strategy, aimed at meeting with the electorates across the length and breadth of Plateau State. REALITY findings indicate that, out of the 24 constituencies in the state, the PPC has reached out to 17 Constituencies with its policy of reaching out to the masses with 7 Constituencies left to cover. The ability of the PPC campaign penetration ability to the locals in the state, REALITY discovered is becoming a record breaking, as the party is becoming the first political party in the state to reach the grass-root electorates within its short life and campaigns. You would recall that, Plateau state is made up of 17 Local Government Areas (LGAs), 325 polling units, 3 Senatorial Districts and 24 constituencies. The grass-root reach policy of the PPC in the ongoing campaigns in the state from pundits view has armed the party (PPC) with the direct needs of the people and has also provided them an opportunity to deliberate and discuss the way forward after the elections are won and loss. 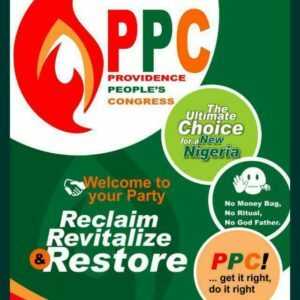 The theory of “getting it right and doing it right”, as propounded by the Presidential candidate of the PPC seems to be directing the campaigns of the PPC in Plateau state, as they have continued preaching for a free, fair and credible elections in the state. 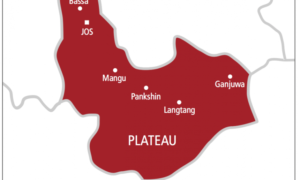 They have also continued to expand the need for Plateau electorates to use merit more as a measure of electing the next set of political representatives for and from the state, while holding that it should not be a do-or-die affair. REALITY gathered that, the party had found out that the selection process of guber candidates, who appeared and participated were manipulated to demoralize PPC’s strategic drive and all inclusive campaign the party is currently enjoying from the electorates at the grass-root level. Accord to a source, who spoke to REALITY in the course of gathering PPC’s underdog approach in the ongoing campaigns in the state, She explained that, the party is determined to change the culture of buying crowds for political rallies, but rather enforce a culture of reaching out to the electorates, who have the capacity and the much valued PVCs to vote, one on one.